Several new 'The Three Musketeers' production stills featuring Matthew Macfadyen as Athos! Beyond Hollywood has several new images (as well as a behind the scene pic with director Paul W.S. Anderson)of Matthew Macfadyen (as Athos) in his upcoming The Three Musketeers3D film. Next week Matthew will be attending, along with his TTM3D co-stars Milla Jovovich, Luke Evans, and Ray Stevenson (to name a few), the UK premiere of The Three Musketeers onOctober 4 at Vue Westfield, Shepherd's Bush, London. Watch (and listen as Matthew narrates both)THE THREE MUSKETEERS - TV Spot "Warrior"and Trailer #2! Also, watch MM in theMaking of The Three Musketeers!See TT3M clips featuring Matthew hereincluding this one:The Three Musketeers - This Is Your Chance Clip(Thanks toCarrie Floto Paternoster over at my Devoted P&P (2005) FB page for sharing the link). The Three Musketeers3D opens in U.S. theaters in wide releaseOctober 21st! Just 21 more days!!! 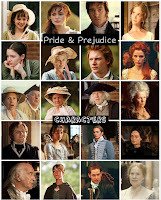 Today (Sept. 26) is Talulah Riley's (aka Mary Bennet ofPride & Prejudice 2005 film) 26thbirthday. Miss Riley was born in Hertfordshire, England 26 years ago today. Interestingly, it's the same place her P&P movie character Mary Bennet was from. P&P fans instantly knew this, but for those who are not familiar or just discovering P&P movie (and novel), Mary, the middle child of 5, lives with herparents (Mr. & Mrs. Bennet) and 4 sisters (Jane, Lizzie, Kitty, and Lydia) in the Bennet family home in Longbourn as the town of Ware and is near the town of Meryton (both in Hertfordshire). 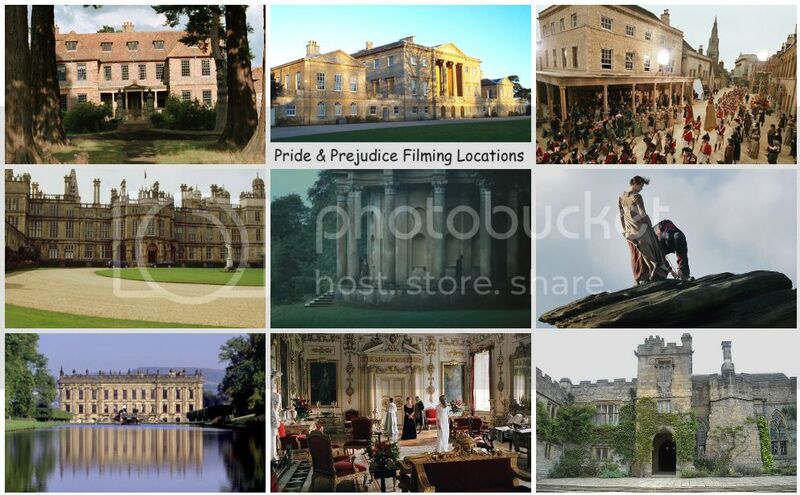 Her eldest sister Jane mentioned Hertfordshire to Bingley in the P&P movie during the assembly dance at Meryton, "how do you like it here in Hertfordshire, Mr. Bingley?" The first trailer for Talulah Riley's upcoming film, White Frog is now online! Talulah (appears briefly speaking in a nice American accent in the trailer below starting at 1:55) plays Ms. Lee, a drama teacher/social worker in the indie film directed by Quentin Lee. White Frog starring BooBoo Stewart, Joan Chen, BD Wong, Harry Shum Jr., Gregg Sulkin, Tyler Posey, Kelly Hu, Talulah Riley, Justin Martin, Manish Dayal, and Amy Hill. No release date yet, but it is slated for a 2012 theatrical release. NICK YOUNG (Twilight Saga’s Booboo Stewart) is a high school freshman struggling with Asperger’s Syndrome who idolizes his perfect older brother CHAZ YOUNG (Glee’s Harry Shum Jr.). Matthew Macfadyen (sporting a beard probably for his Oblonsky role in Anna Karenina, which is currently filming right now) attended with co-star Logan Lerman "The Three Musketeers" photocall at the Kursaal Palace during 59th San Sebastian International Film Festival on September 23, 2011 in San Sebastian, Spain. Matthew plays one of the Three Musketeers, Athos and Lerman the young D'artagnan. The movie is previewing at a showcase event for the festival in the Velodrome stadium this evening. The film's director Paul W.S. Anderson and his wife Milla Jovovich, MM's TTM3D co-star were a no-show at the festival as they are currently filming their fifth RE film, Resident Evil: Retribution. Other co-stars Luke Evans, Ray Stevenson, and Orlando Bloom were absent too, so only MM and Lerman were in attendance to promote their upcoming film, which will be in theaters nationwide October 21st! Tonight (and every Friday nights at 8/7C) watch Jennifer Ehle (Pride and Prejudice1995's Elizabeth Bennet) on the series premiere of A Gifted Man on CBS. 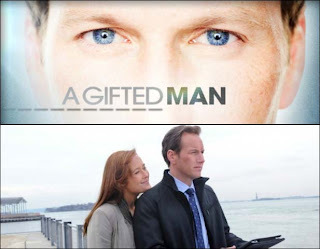 A Gifted Man is a drama starring Patrick Wilson (Morning Glory, The Phantom of the Opera) as Michael Holt, a charismatic, ultra-motivated surgeon whose life changes forever when his deceased ex-wife (Jennifer Ehle) begins teaching him the meaning of life from the "hereafter." Rachelle Lefevre (Barney's Version, Twilight movies), Margo Martindale, and Pablo Schreiber also co-star. P&P NewsBits: Casting Updates for 'One Shot' and 'Flight' films, Jena Malone cast in 'Hatfields and McCoys,' and more! Here's this week's quick news round up of various TV and film news (including casting calls, a film synopsis, trailers, release dates, festival news, etc.) 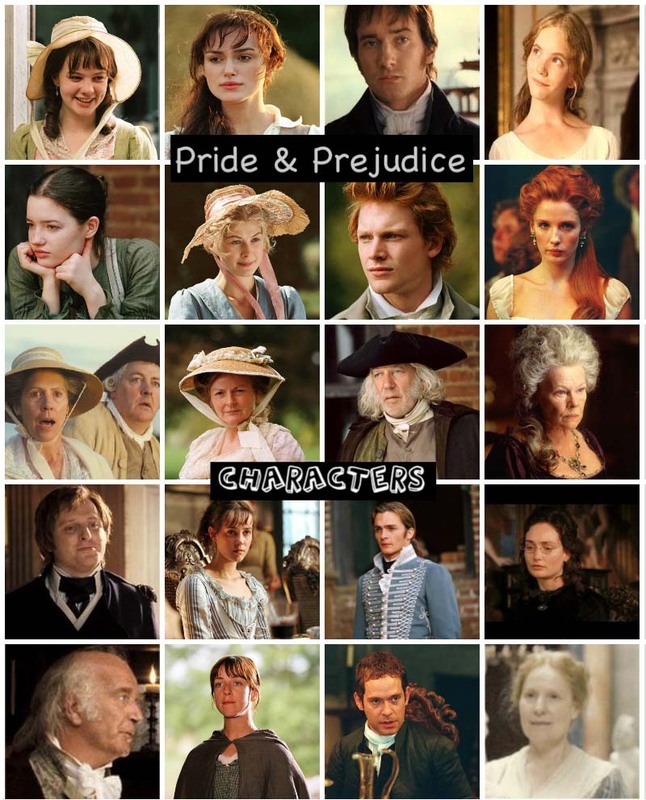 of the following P&P (2005) actors (Rosamund Pike, Kelly Reilly, Jena Malone, Carey Mulligan, Keira Knightley and P&P 95'sColin Firthand Jennifer Ehle), all in one post! As previously posted here, Rosamund Pike landed the female lead role opposite Tom Cruise in One Shot! Kelly Reilly was in negotiations for the lead female role in Robert Zemeckis’Flight opposite Denzel Washington. Warner Bros. Pictures has just released the trailer for Clint Eastwood's latest biopic "J. Edgar" starring Leonardo DiCaprio, Naomi Watts, Armie Hammer, Judi Dench, Josh Lucas, and Jeffrey Donovan. According to The Playlist, “J. Edgar” is set to screen on November 9 in limited release and then quickly goes wide on November 11. The picture will make its debut at the AFI Film Festival just a few days prior on November 3. Written by “Milk” screenwriter Dustin Lance Black the intriguing ensemble cast includes, Armie Hammer, Naomi Watts, Ed Westwick, Damon Herriman, Judi Dench, Ken Howard, Jeffrey Donovan and Stephen Root. 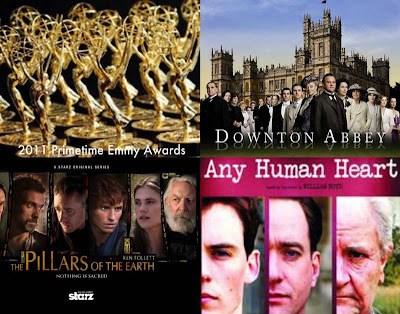 After winning 6 Primetime Emmy Awards Sunday night, PBS Masterpiece Classic launched an official website for its very popular and multi-Emmy award winning series, Downton Abbey (which according to Deadline, was recenty awarded by The Guiness World of Records with an accolade of the “Highest critical review ratings for a TV show”). 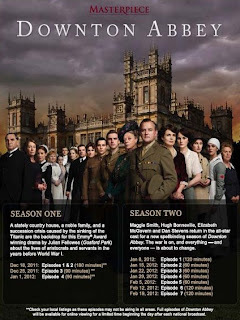 The PBS official site features all the latest Downton Abbey news, videos and photos, Schedule for season 1 and 2 in PDF, countdown timer for Season 2, exclusive features, etc. Rosamund Pikehas been busy promotingJohnny English Reborn (one of her two new comedy films with The Big Year being the other. Both are released in US theaters in October with the former at the end of the month and the latter in early-mid Oct.), which she co-stars with Rowan Atkinson, Dominic West, and Gillian Anderson. She attended the world premiere in Sydney, Australiaearlier this month, then did the press junkets, and photocalls. Johnny English Reborn now showing in Australia and other Asian countries (See worldwide JER release dates here!). Meanwhile, it'll be showing in UK Cinemas October 7th and in U.S. theaters October 28th! Now showing in wide release around the country and in theaters near you is Drive starring Ryan Gosling and Carey Mulligan. It got rave reviews from critics and audiences alike when it premiered at Cannes last May as well as when it screened at Comic-Con, and film festivals such as TIFF 2011. Go see it! The first trailer has just been releasedtodayfor Fox Searchlight'sThe Best Exotic Marigold Hotel starring Judi Dench, Bill Nighy, Penelope Wilton, Tom Wilkinson, Celia Imrie, Dev Patel and Maggie Smith. Directed by John Madden (Shakespeare In Love) and based on a British best-seller from “Tulip Fever” author and “Pride & Prejudice” screenwriter Deborah Moggach, the film boasts a lineup of veteran actors with a story centering around an entrepreneurial Indian executive who decides to start up a first-rate home for elderly British retirees. The Best Exotic Marigold Hotel opens in theaters March 9, 2012. 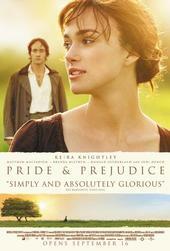 Pride & Prejudice Fan Fiction Contest! I hereby announce the first ever P&P (2005) fanfic contest! (Just a reminder!) Keep in mind that all entries should be fan fiction of the 2005 VERSION of Pride & Prejudice, NOT the novel by Jane Austen. Can't wait to read all the fanfics! Kelly Reillyattended theCanadian screening premiereof her indie film, Edwin Boyd during the 2011 Toronto International Film Festival (TIFF) held at the TIFF Lightbox on September 10, 2011 in Toronto Canada.Unfortunately, there aren't anyred carpet photosof her, but there are a couple on stage pics of her with her co-star Scott Speedman and other Edwin Boyd cast and crew. No trailer or theatrical release date for this film, but will post it here as soon as they are available. Check out new photos of Kelly Reilly at the TIFF 2011 as well as a first Edwin Boyd still featuring KR below! Deadline reports that Kelly Reilly is in negotiations for the lead female role in Robert Zemeckis’Flight opposite Denzel Washington. Apparently, Ms. Reilly was in a shortlist of actresses in consideration for the role along with Olivia Wilde and Dominique McElligott for the female lead role Nicole Devlin this past weekend and Kelly got the part! Yay for Kelly! Interestingshe'sanother P&P actress cast in another Paramount Pictures film as just recently Rosamund Pike got cast in a female lead in One Shot film (opposite Tom Cruise), which starts filming later this month. Flight starts shooting in Atlanta (GA) this October for a possible 2012 release. Keira Knightley attended the A Dangerous MethodPremiere at Roy Thomson Hall during the 2011 Toronto International Film Festival on Saturday September 10, 2011 in Toronto, Canada. Prior to the premiere, Keira attended the photocall, press conference, and posed for a portrait session for A Dangerous Method. 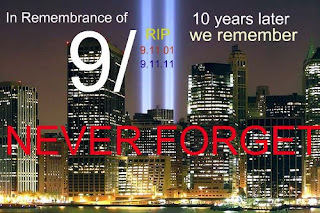 Today marks the 10th year anniversary of 9-11 (Sept. 11th, 2001). Our lives has forever changed after that devastating 9/11 tragedy. As we pause today to remember the innocent victims (and their families) who lost their lives from the terrorist attacks at the World Trade Center in New York City on that horrible day, the brave men and women survivors, the brave and courageous firefighters and policemen who risked and lost their lives to save others. Lets keep them in our thoughts, hearts, and prayers. They shall never be forgotten. We will never forget that horrible day, the victims, the survivors, and those heroes (who are still with us) who risked and sacrificed their lives to kept us safe on that day, after that day and all these years and has protected our country and nation. God Bless them all! 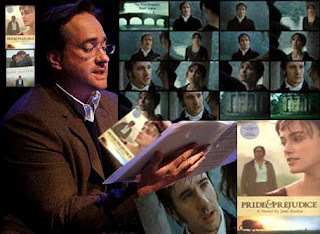 Watch and listen as Matthew Macfadyen reads the "first proposal" scene from Pride and Prejudice novel with music and clips from the 2005 Pride & Prejudice film! Keira Knightley, Matthew Macfadyen, Joe Wright, and Dario Marianelli together again as principal photography begins for 'Anna Karenina' this month! Fox 2000 has just released the first trailer and poster (via Apple, which you can see here to your left) for the competitive birding comedy The Big Year starring Steve Martin, Jack Black, Owen Wilson, and Rosamund Pike. Rashida Jones, Angelica Huston, Jim Parsons, Joel McHale, JoBeth Williams, Brian Dennehy, Dianne Wiest, Anthony Anderson, and Tim Blake Nelson also star in this film's big ensemble cast co-produced by Ben Stiller. Based on Mark Obmascik's 1998 book, "The Big Year" is about three men who try to outdo each other during a year-long competition to spot the rarest birds in North America. David Frankel (The Devil Wears Prada, Marley & Me) directed the adaptation of the Mark Obmascik book. The Big Year opens October 14th. On DVD and Blu-ray (with Digital Copy)today (September 6th), P&P/Atonementdirector Joe Wright's recent theatrical released, action/suspense thriller film, Hanna starring an outstanding and talented cast in Saoirse Ronan (leading the cast in the title role) with Eric Bana, Cate Blanchett, Tom Hollander, and Olivia Williams. 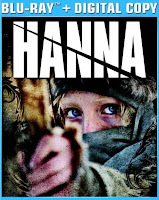 Read my Film Review: Hanna and see my Hanna signed poster! Some new production stills for Shame starring Michael Fassbender and Carey Mulligan has just been released. The film has been getting some positive rave reviews (The Guardian.co.uk and Timeout.com both gave the this film 4/5 stars!The Playlist gave it an A- rating as well) of its Venice and Telluride Film Festival screenings. According to Shadow and Act, There’s already some Oscar buzz surrounding the performances of Michael Fassbender and Carey Mulligan. Carey's role and character in the film is Sissy, Brandon (Michael Fassbender)’s mentally unstable sister that pays him a visit, further driving Brandon into his unhealthy sexual compulsions. No trailer yet, but you can watch the first Shame clip of Michael Fassbender here (though Carey's not on it). 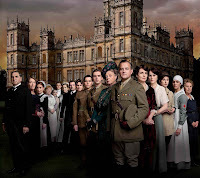 Season 2 of ITV's very popular period drama series Downton Abbey will premiere in less than 2 weeks (Sept. 18th) from now for those lucky UK fans. For us, unfortunate U.S. fans (who will have to wait 4 long months till it premieres on PBS' Masterpiece Classic on January 8th, 2012), we can only watch the new S2 promo teaser trailers, which you can watch below, to get us through this long wait...any news, stills, and clips or anything DA related actually will get us anticipating and excited about it...really...lol. Anyway, one of the promo trailers features a quick glimpse of our Penelope Wilton (aka P&P2005 movie's Mrs. Gardiner) as Isobel Crawley, widowed mother of Dan Stevens'Matthew Crawley, heir to the large estate of Downton Abbey. Rosamund Pike (looking gorgeous in a flirty mini red dress with white overlay) arrives at the "Johnny English Reborn"world premiere at The Entertainment Quarter on September 4, 2011 in Sydney, Australia. The film opens in Australia first on Sept. 15th (along with other countries such as Croatia, Hungary, Malaysia, Philippines, Russia, Serbia and Montenegro, Singapore, Slovenia, Thailand, and Ukraine). See worldwide JER release dates here! Working Title Films' (Atonement and Pride & Prejudice) Johnny English Reborn starring Rowan Atkinson, Rosamund Pike, Dominic West, and Gillian Anderson. Keira Knightley looking gorgeous and elegant in a gold embroideredValentino Couture long sleeve gown as she attends the "A Dangerous Method" premiere during the 68th Venice Film Festival at Palazzo del Cinema on September 2, 2011 in Venice, Italy. Also, See Keira Knightley's VFF 2011 - Photocall photos here! She looked stunning there as well in a patternedMary Katrantzou dress. Keira Knightley is making the festival rounds this month, with her period drama A Dangerous Method debuting at the Venice Film Festival Friday. Keira attended the "A Dangerous Method" photocall at the Palazzo del Cinema during the 68th Venice Film Festival on September 2, 2011 in Venice, Italy. Check out some new photos of KK and ADM co-stars Michael Fassbender, Viggo Mortensen, Sarah Gaddon, and director David Cronenberg during a photocall for the film, which is competing at the festival. P&P NewsBits: Keira Knightley to attend TIFF 2011, 'Neverland' gets Syfy premiere date, 'The Pillars of the Earth' coming to Reelz Channel, and more! Here's this week's quick news round up of various film news (including casting calls, a film synopsis, trailers, release dates, festival news, etc.) 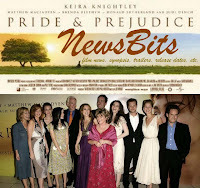 of the following P&P (2005) actors (Keira Knightley, Matthew Macfadyen, Donald Sutherland, Judi Dench, P&P 1995's Colin Firth, and P&P director Joe Wright), all in one post! 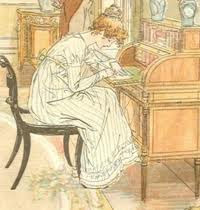 'Jane Austen Made Me Do It' edited by Austenprose's Laurel Ann Nattress to be released October 11th! 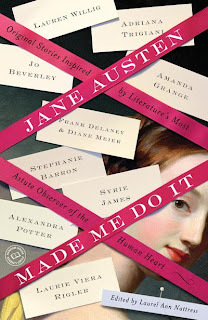 Austenprose's Laurel Ann Nattress is now a published author/editor and her new book, Jane Austen Made Me Do It (click the link to visit its own website!) will be released in trade paperback and eBook format by Ballantine Books on October 11th, 2011! Jane Austen Made Me Do It is a short story anthology of 22 stories by the most talented writers including Laurie Viera Rigler (author of Confessions of a Jane Austen Addict, &Rude Awakenings of a Jane Austen Addict), which I had the pleasure of interviewing her here last December 2010 (and I had asked her about this project to which, at the time, she could only reveal the release date) in the Austen genre and a few surprises. Sharon Lathan's new novel 'Miss Darcy Falls In Love' coming in November! AlthoughSharon Lathan is taking a lil' hiatus from The Darcy Saga series, worry not, she has a new novel coming soon that's still related and a companion to The Darcy Saga series. This time though, it's a standalone novel titled, Miss Darcy Falls In Love, a Georgiana Darcy (Mr. Darcy's younger sister) novel, which is scheduled for a November 1st release! Her previous released novel, The Trouble With Mr. Darcy (volume 5) from The Darcy Saga series is now available in bookstores and online retailers around the country.